Google is working in secret at a spaceport in New Mexico to build and test solar-powered internet drones in a new initiative codenamed Project SkyBender, according to a report from The Guardian. The company is reportedly renting 15,000 square feet of hangar space from Virgin Galactic — the commercial spaceflight outfit of business mogul Richard Branson — at the privately owned Spaceport America located near a town called Truth or Consequences. The lynchpin of Project SkyBender appears to be cutting-edge millimeter wave technology, which can transmit gigabits of data every second at speeds up to 40 times faster than modern 4G LTE. Millimeter waves are thought to be the future of high-speed data transmission technology, and may form the backbone of 5G mobile networks. Aereo founder Chet Kanojia‘s new startup Starry announced earlier this week it would use millimeter wave tech to bring gigabit internet speeds to people’s homes via Wi-Fi. Millimeter waves have much shorter range than current smartphone signals and are easily disrupted by weather conditions like rain, fog, and snow. Using what’s called a phased array, however, Google and others could potentially focus the transmissions over greater distances. 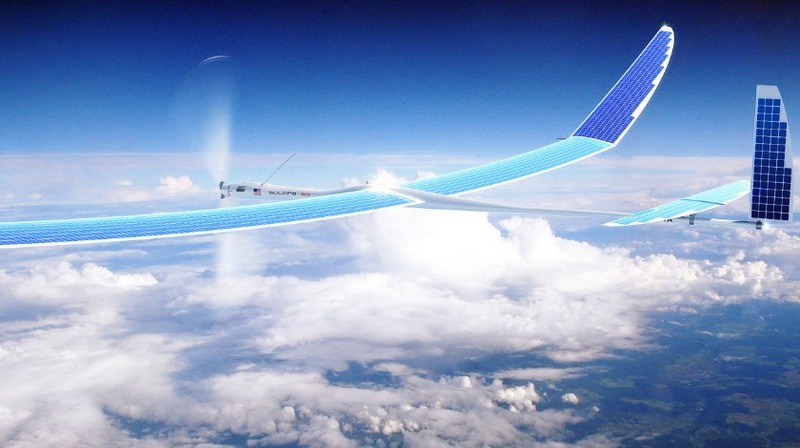 Google is currently testing the technique with a new solar-powered drone called Centaur and other units made by a division known as Google Titan, which the company formed after it acquired drone maker Titan Aerospace in 2014. The company has a deal with the FCC to continue testing until July, according to The Guardian. It’s also paying Virgin Galactic about $1,000 a day to use its hanger, as well as an additional $300,000 to Spaceport America to construct installations with servers, millimeter wave transceivers, and other tech onsite. Google has noted in the past how it plans to compete with other tech giants like Facebook to bring internet access to developing countries. The Guardian says SkyBender is technically part of Google Access, a division that houses Project Loon, Google’s air balloon Wi-Fi project aimed at a similar goal of bringing remote parts of the world online. Google did not respond to a request for comment.